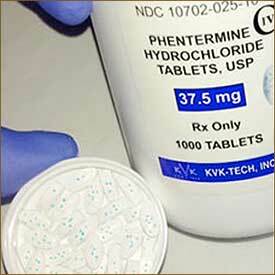 Phentermine is an anorectic drug that is similar to the stimulant amphetamine. Despite the fact that is known to be addictive and can cause numerous adverse reactions, many dieters consider the drug to be the holy grail of weight loss. However, although Phentermine can be an effective weight loss aid, many modern supplements can easily surpass its abilities without presenting the same dangers to the health. The drug has been available in the USA since 1959 and is presently only approved for sale there as a prescription medication. 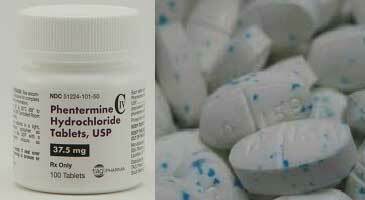 Here in Australia, Phentermine is distributed under the brand names of Duromine and Metermine. They are identical, but Duromine is the most popular brand and has been included in the Australian Register of Therapeutic Goods since 16 July 1991. However, although the Australian Therapeutic Goods Administration (TGA) has approved the two brands of Phentermine as prescription weight loss medications, doctors are only permitted to prescribe them to patients who have a BMI of 30 or higher or have a BMI of 25 to 29 that is accompanied by other risk factors such as diabetes or high blood pressure. Regardless of the brand name it is sold under, Phentermine is generally only taken once per day. 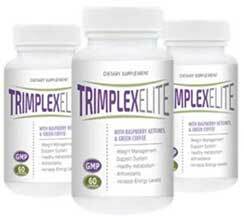 After it has been absorbed into the system it suppresses the appetite and the effects generally last for 10 to 14 hours. The drug works by causing changes in the body that make it behave in a manner that is similar to the way it would behave during times of danger. Many changes occur within the body when a threat is detected. It’s called the fight or flight response. Feeling hungry could be a dangerous distraction during times of danger so the body produces chemicals that override the normal hunger mechanisms. Anxiety can trigger the same response. That’s why people sometimes report feeling too stressed to eat. Hunger suppression helps people lose weight because it makes it easier to survive on less food and the daily calorie intake decreases accordingly. The body is a machine that runs on calories. 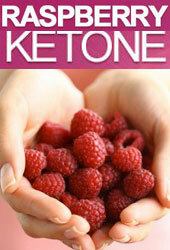 If the diet does not provide enough it adapts to the situation by burning fat instead. Duromine and Metermine are available in three strengths (15mg, 30mg, 40mg). The strength option offered will be at the prescribing doctor’s discretion, but the lower dose is usually reserved for people who have health problems that may make use of a higher dose unwise. Like it’s chemical cousin, amphetamine, Phentermine can be addictive, so the TGA only permit doctors to use it as a short-term obesity treatment. The range and severity of Phentermine side effects is also daunting. Some of the minor side effects Phentermine users may experience include headaches, dizziness, and stomach pain, but not all users will be so lucky. The drug can also cause serious regurgitate cardiac valvular disease and other reactions of a more frighting nature. The TGA website has a PDF document that lists some of the side effects Duromine users may face. It also provides information about the way the drug reacts with other medications. The TGA exists to help protect the health of Australian citizens, so although Phentermine can have value as a weight loss aid it presents too many dangers for its use to be sanctioned without a doctor’ supervision. 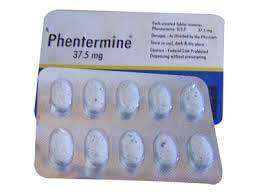 If you discount all the negative health implications its use can entail and concentrate on its ability to suppress the appetite, Phentermine was good in its day. But that day is long past. A few diet pill manufacturers have developed formulations that offer dieters safer alternatives that deliver better results. The appetite is only one factor that influences weight loss. The best Phentermine substitutes are capable of mimicking the drug’s appetite suppressing ability and also boost the body’s fat burning capabilities. 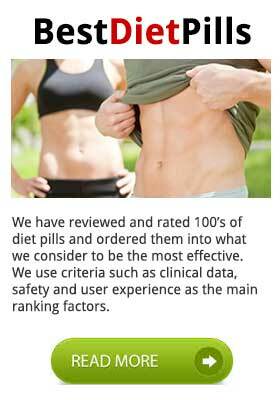 Some of them offer additional features such as fat blocking and mood enhancement as well. Appetite suppressants certainly have a role to play in weight loss, but they should not be seen as a be all and end all weight management aid. So although Phentermine can assist weight loss, there are other options available that can provide better results without the need for a prescription or nasty side effects. Suprenza is a weight loss medication designed for the short-term treatment of obesity. It contains the weight loss drug Phentermine and is different from other brands of Phentermine in that is is a dispersible tablet that dissolves in the mouth and can be swallowed without the need for water or the risk of choking. Suprenza tablets can be an ideal option for people who have difficulty swallowing pills but, although it’s available as a prescription medication in some other countries, Suprenza is not approved for use in Australia. Although a few other ingredients are added to the tablets to help them dissolve easily and provide colour and flavour, the only active ingredient is Phentermine. 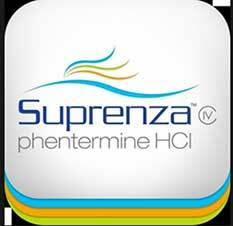 The Phentermine provided by Suprenza produces chemical changes that would normally be experienced as a response to danger. When faced with a situation that could result in harm or death, the body reacts by entering a state of fight or flight. Several things happen when the body is in this state, but the main reason the fight or flight reaction benefits dieters is because the appetite is naturally suppressed. In a life or death situation this effect would only be apparent while the danger persisted. Suprenza and other forms of Phentermine can place the body in fight or flight mode for 10-14 hours. When the appetite is suppressed it’s easier to eat smaller portions of food at mealtimes, without feeling hungry or being tempted to snack. This ensures the body receives fewer calories per day and, when the tablets are used with diet and exercise, the body is subjected to such a shortage of calories it has to start burning fat to get extra energy. In countries where it has been approved for use, the typical Suprenza user will be someone who is clinically obese and has been issued with a prescription. It is very important that the drug is only obtained in this way because it can aggravate existing health issues, such as high blood pressure and glaucoma. Suprenza can also interact badly with some medicines and it can be particularly dangerous to use it in conjunction with MAO inhibitors. Suprenza Usage Guidelines – One tablet is required each morning. It should be placed on the tongue and then swallowed after it has dissolved. Diet and exercise is an important part of the treatment and the doctor who prescribes Suprenza will normally offer patients advice on the correct way to proceed. It is extremely dangerous to drink alcohol while using Suprenza. It is also dangerous to use the medication while pregnant or nursing a child. It is important all Suprenza users keep their doctor informed about the side effects they experience, and anybody who experiences a serious reaction should discontinue use of the drug at once and seek medical advice. Suprenza has not been approved for use in Australia, but it remains an attractive option for many dieters and the fact that it can be purchased via online sources can tempt people to break the law and attempt to import it into the country illegally. Buying Suprenza online is not recommended. 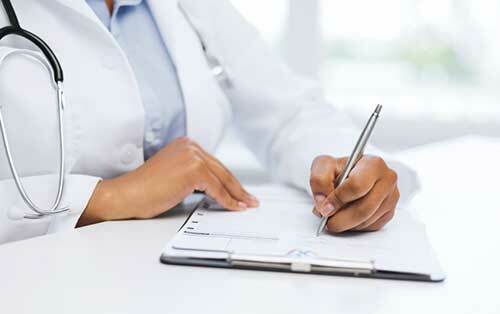 Like all brands of Phentermine, its use requires medical supervision. Using unsanctioned drugs bought from the internet is unwise, illegal, and dangerous. Although Suprenza may appear to be a very appealing option for many dieters, it is not available in Australia, doctors cannot prescribe it, and it is too dangerous to use without a doctor’s approval and supervision. This could sound like a pretty raw deal if you are struggling to lose weight and need something to help. 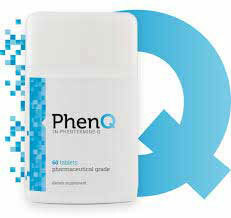 However, the Phentermine substitute, PhenQ, contains a cactus extract that can provide the same level of appetite suppression and further lower the daily calorie count by blocking dietary fats. 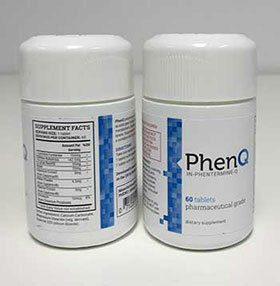 The formulation also contains several other natural ingredients that provide dieters additional support in so many areas PhenQ is often said to be the equivalent of several diet pills rolled into one. It’s a much safer option than Suprenza, does not cause side effects, is legal to use, and comes with a money back guarantee.